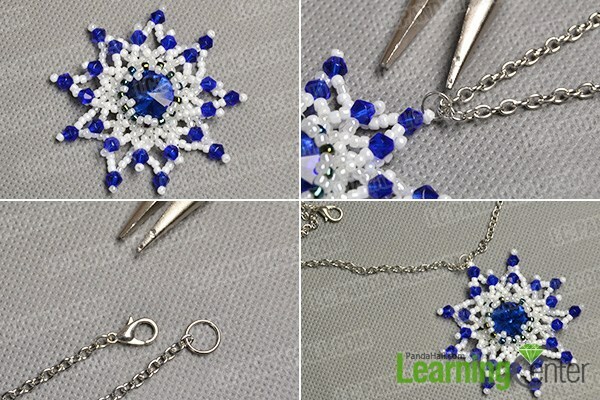 Summary: As winter is coming, do you wanna make a beaded snowflake pendant? 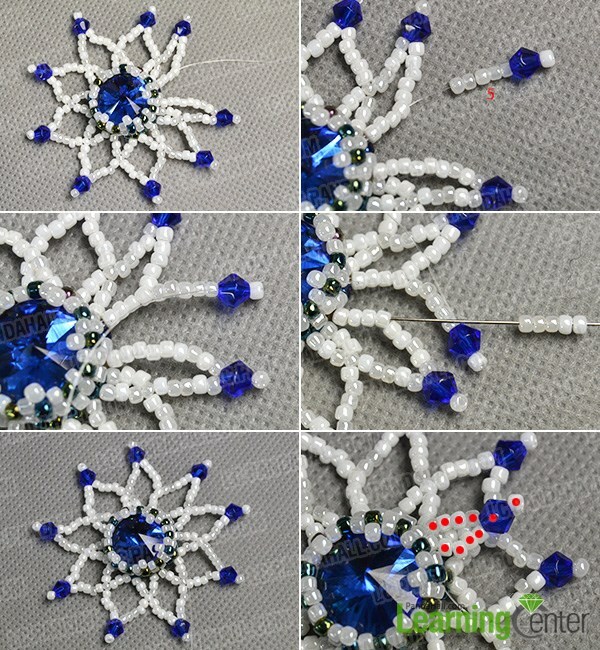 This tutorial will share a beaded snowflake pendant necklace with you. 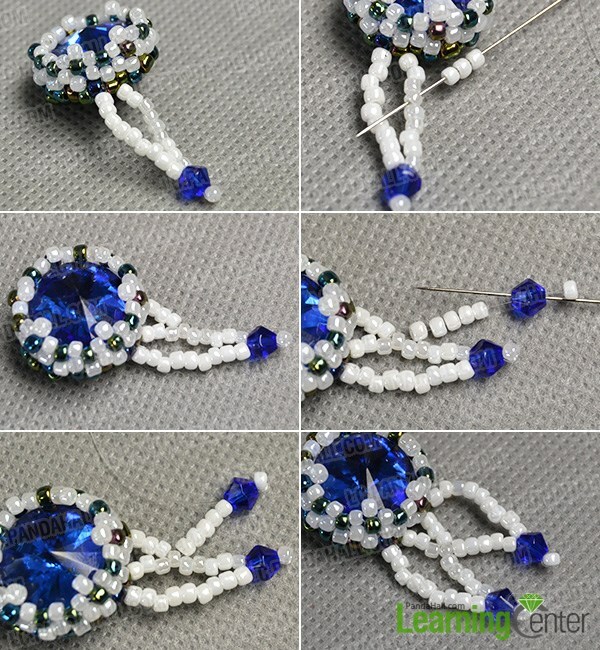 This is a see bead pendant necklace made with seed beads and glass beads mainly, how do you think of it? 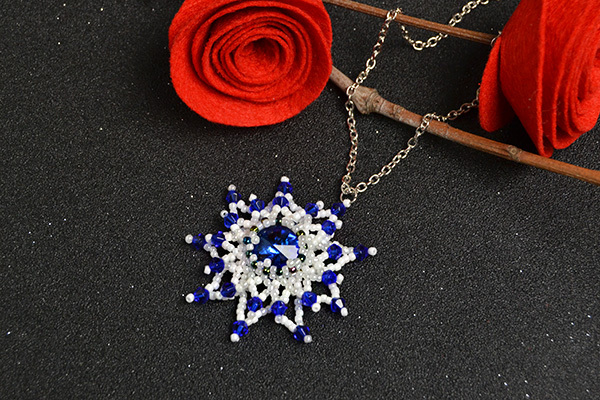 The beaded snowflake pendant is cute and it is quite suitable for winter. Do you wanna try it? 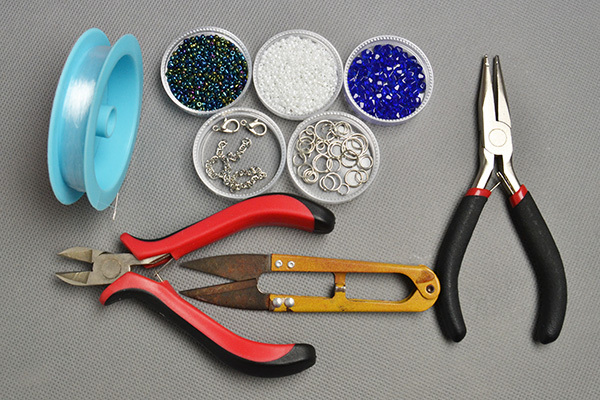 Follow here to make the seed bead pendant now! 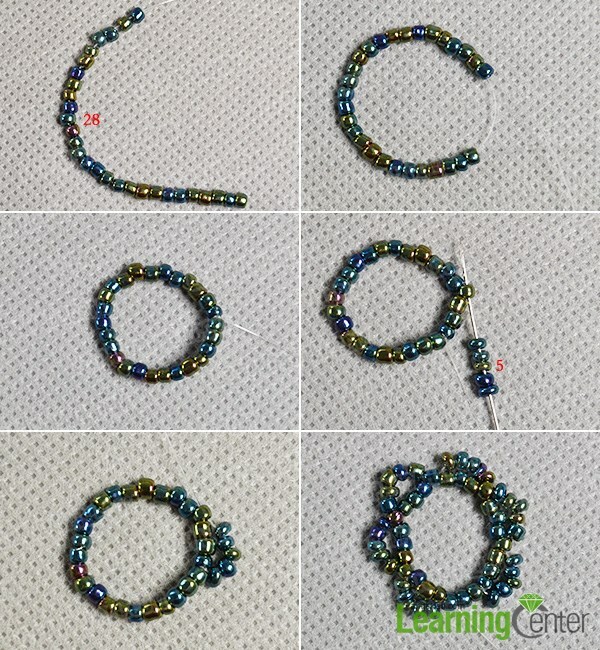 2nd, Slide 5 blue seed beads to the wire, cross it through the 4th seed bead in the loop, then make the other 6 bead patterns with seed beads to form a flower shape as pictured. 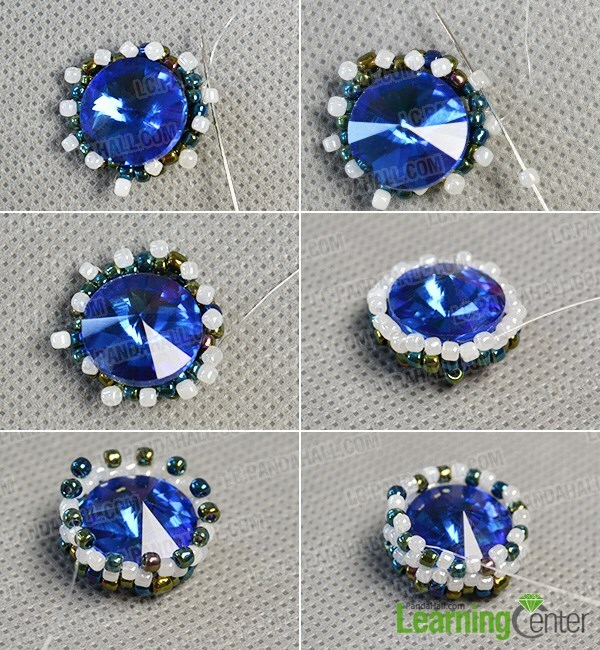 2nd, add a blue seed bead to other 6 petals, then slide a white seed bead and cross the wire through the 3rd bead, add other 12 white seed beads to the bead pattern and put a back rhinestone cabochon in middle of it as pictured. 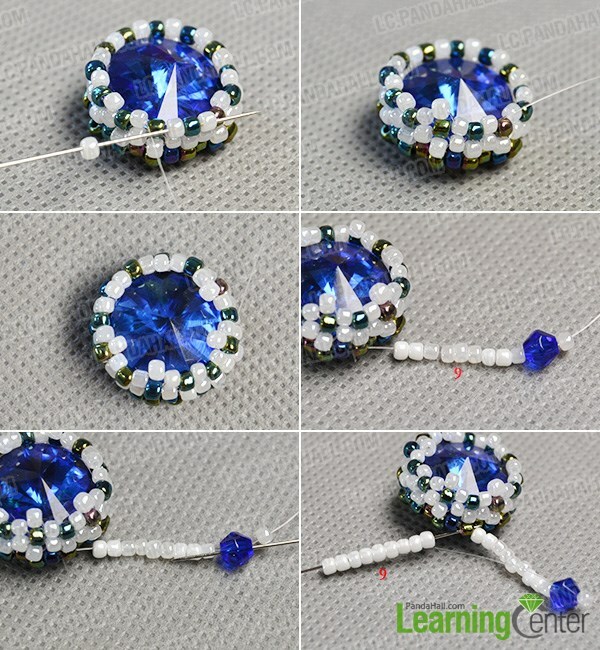 4th, add a white seed beads between every blue seed beads as pictured. 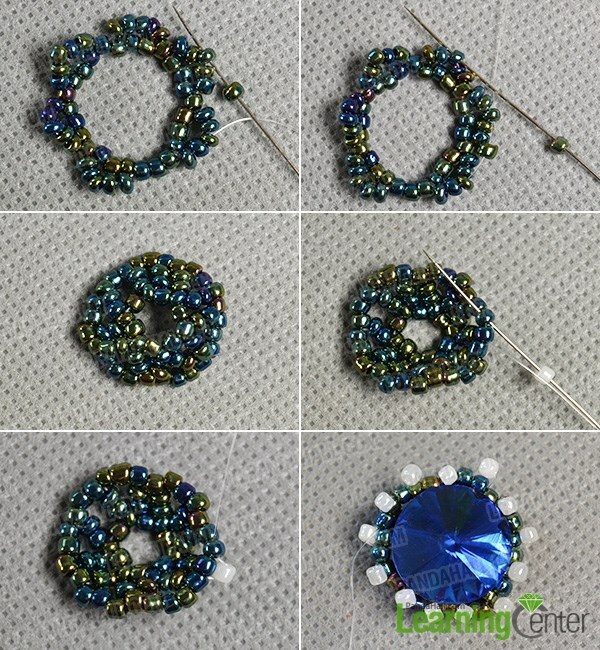 3rd, cross the wire back through the blue glass bead, add 9 white seed beads and cross the wire through the ready bead as pictured. 3rd, slide 9 white seed beads to the wire and cross it through the next 3 beads. 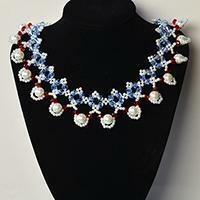 3rd, cross the wire to the top layer, then slide 4 white seed beads, a blue glass bead and a white seed bead to it and cross it back through the blue bead, and then slide 4 white seed beads, cross it through next 2 seed beads. 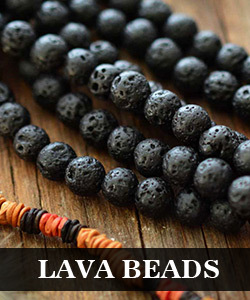 3rd, attach a jump ring to one end of the chain while attach a lobster clasp to the other end of it. 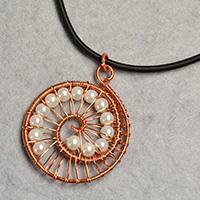 Now, did you have gotten the main steps on how to make pendant necklace? 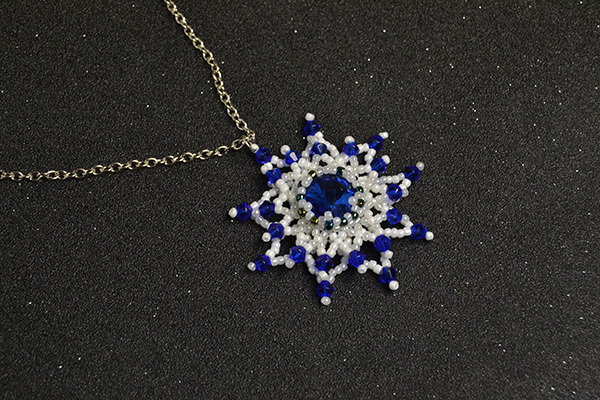 It is not difficult in making this seed bead pendant with chain, so if you have fallen in love with this beaded flower pendant necklace, follow my detailed steps to make one!